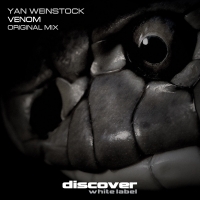 Yan Weinstock is back with a vengeance, this time with Venom, a dark hypnotic trancer with strong techno undertones. Short and sweet, Venom gets to the point quickly and with intent whilst still twisting towards the unexpected when it kicks back in. Venom definitely has a bite to it and buckets of that Yan Weinstock class that we know and love.